Apple CEO Tim Cook Vows To Continue Fight Against Feds: We Have A Responsibility On Privacy [VIDEO] - Joe.My.God. 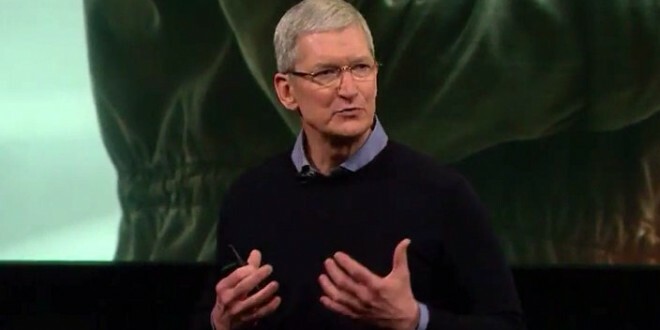 On Monday, Apple chief executive Tim Cook positioned his company’s stance on protecting privacy as a patriotic duty. Cook addressed the ongoing iPhone privacy issue briefly as part of a presentation where Apple is expected to announce an new iPad Pro mini as well as a smaller iPhone. Apple is currently appealing a U.S. District Court order to build a separate version of iOS that would allow the FBI to unlock one particular iPhone 5c. RELATED: The list of new Apple products unveiled today is here.